Looking for Marble trout at the great River Adige, Trento. This river is home to many types of fish: barbel, chub, bullhead, grayling and trout in the majority, but if you are lucky you will be able to catch pikes and even some perches, even though the real queen remains the marble trout. As every year on 5th February, there is a grand opening for the fishing season in the great river Adige! Definitely not a place for everyone, strong currents and few landmarks make it a difficult place to fish but it remains a river for those who love and know the fish has a lot to give! Unfortunately, the people rudeness is deteriorating this beautiful area, as you will find yourself many times fishing between garbage of all kinds! The construction of concrete embankments build at certain points along the river make it look like a big artificial channel, and for this reason, it hasn't caught the eye of many fishermen, even it seems that if the number is rising lately!Despite its deficiencies, it remains a beautiful and mysterious river that can give immense satisfaction to the fisherman who is dedicated to it. This river is home to many types of fish: barbel, chub, bullhead, grayling and trout in the majority, but if you are lucky you will be able to catch pikes and even some perches, even though the real queen remains the marble trout.This beautiful fish has, in these waters, room to get to dimensions really remarkable: even above one meter in length and 10 kg in weight. 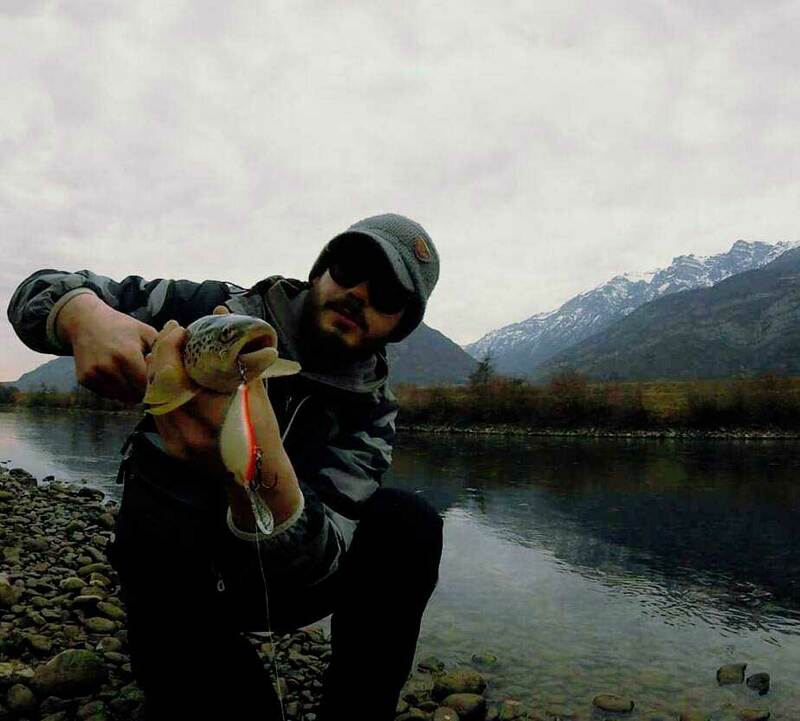 Unfortunately, the marble trout is now at risk because of the over-fishing of the brown trout and the hybridisation of various kind of fish. This certainly does not help since they are all feeding off the same things, restricting the growth of this beautiful species! Fortunately, the local authorities are starting to do something about this, creating protected zones where it is forbidden to remove the fish from its habitat (so catching without realising). Also in a few years, we will see real improvement thanks to the prohibition of natural bait, except dead baiting that is not invasive since it is unlikely that the fish comes to swallow!The most used types of fishing in this river are: dead baiting, fly fishing, natural baits and finally my favourite, spinning! Spinning is definitely a challenging technique, but I believe that this river transmits true emotions, giving the possibility to select the prey that you go to look for.I have been going fishing to the Adige river for about 3 years with perseverance and dedication, but unfortunately, I have yet to catch a fish worth something. Now when I go fishing the motto at the end of the day is "Today also I'll bring it home tomorrow. 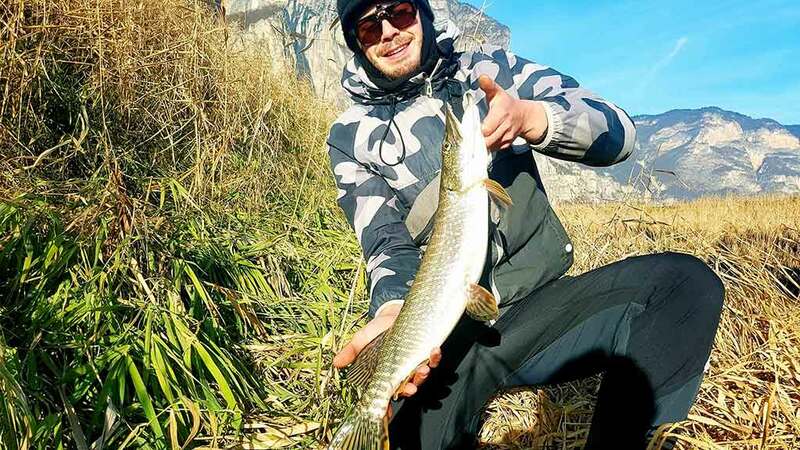 "Despite this river is a very hard place to fish, it takes a very little, a light touch of the rod or a shadow behind the bait, to make the heart of a fisherman beating! ‍Perhaps it is its difficulty that makes you fall in love with its waters as 90% of the time nothing will happen, and this can be scary and discouraging for many, but it is the rest 10% that keeps alive my passion and that of many other fishermen of this great river!The lures that I prefer for this type of fishing are big minnows from 7 to 13 cm, waving and rotating baits in some situations make a difference for moving fish in deep waters and unreachable spots.I prefer to use a quite long and strong rod, from 2.40 to 2.70 m, able to cast 20 to 60 gr to counter the fish’s moves while maintaining good tension to avoid losses! With the "Parabolic action" it is very difficult to make the minnow move in the current and have at the same time the best possible contact with the bait! I currently own a Shimano Aspire 15-40 gr, and I find it perfect for a medium-heavy fishing reel like my beloved Shimano Stella FI 4000 XG. These are my inseparable companions of my unforgettable fishing adventures. 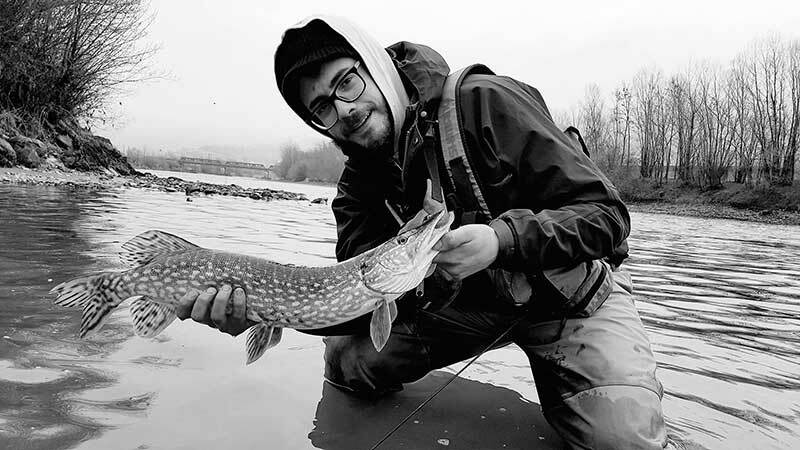 One of my main philosophy is: "no kill" fishing practice, and I'd like to see more fishermen follow this rule, especially in the Adige as unfortunately, you can still see fishermen hold many, perhaps too many, fish. In recent years we have seen a sudden fall of the inhabitants of this river!I would like to make it clear that catch and release will allow us to continue practising our passion and will protect the river that we love so much! I like to think that the fish that we release today will return home and perhaps one day they will come back to excite me or some other fishermen!